For this week I had decided to do some random posts about things I've been inspired by over the past few months. And with those things I use music as a crutch to dictate the kind of pictures I want to make in certain days. I imagine most of my images as if it would be in a front cover of an album. They become the thing that inspires me to shoot half the time. Such bands like American Football, Giles Corey, Dweller on the Threshold and others are a pinnacle of what I think about during the period of taking photographs. But lately Tigers Jaw's new album "Charmer" has gotten me by the thread. Such songs like "Hum", "Charmer", "Teen Rocket", and "Distress Signal" have been on repeat. These songs help me to think about the kind of pictures I want to take and how I could sequence them to projects I've been working on. These songs have helped me through the editing process and being able to enjoy the finished products. 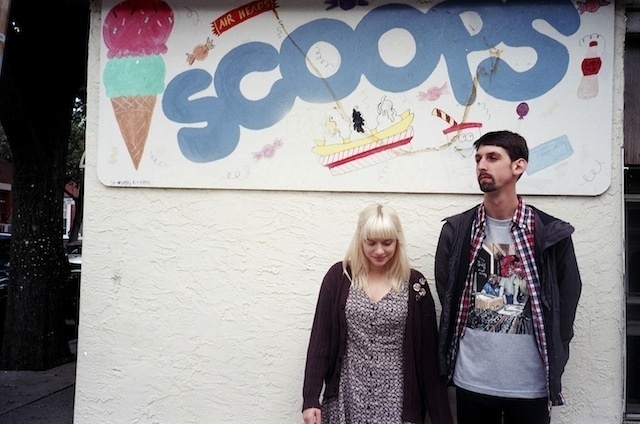 Earlier this year 3 members of Tigers Jaw decided to part ways with Brianna (keys, vocals) and Ben (guitar, vox) leaving just the two of them to keep the band intact. The album, from what I understand, almost didn't happen as Ben and Brianna's future of the band looked bleak. But I guess they managed to pull through and keep it at a steady pace. They're actually on tour with Touche Amore right now! But to sum it up music is an integral part of what makes my photographs. I can't imagine how my images would look if I had a different taste in music. Such albums like "Charmer" are one of the many that helped me see certain things that I wouldn't normally see while on the run snapping frames. I hope this band keeps going. And I hope I get a chance to see them play. Check out their sites and add them up! PACK YOUR BAGS. WE'RE GOING NOWHERE.